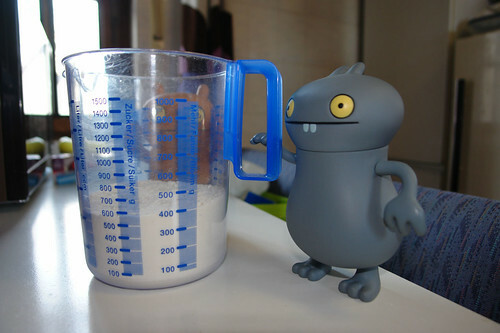 Uglyworld #180 - Babo Decides To Make Pancakes, originally uploaded by www.bazpics.com. Babo was up bright and early this morning after the fun they all had last night for Halloween. I think they'll be eating all the sweets and assorted candy they acquired for the coming weeks (or the next 10 minutes in the case of Cinko).